Do not reuse the exhaustmanifold-to-cylinder head gaskets. Uponinstallation of the exhaust manifold, install a NEW gasket. 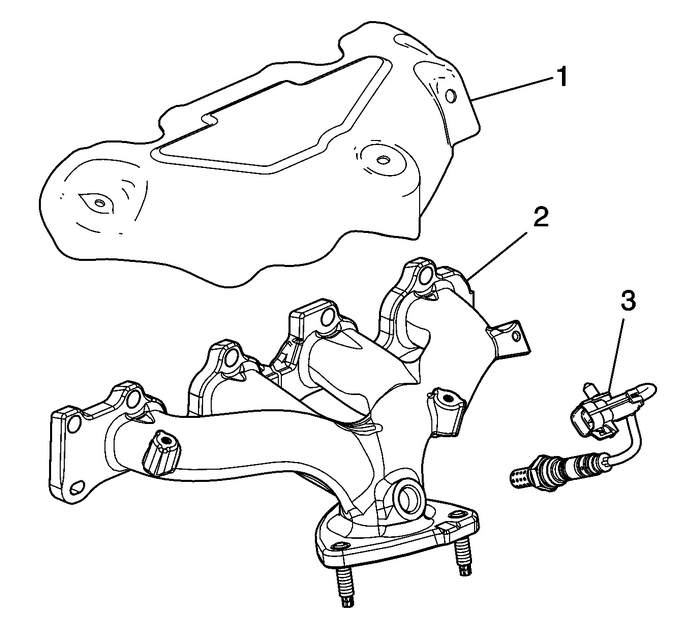 Animproperly installed gasket or leaking exhaust system may effectOn-Board Diagnostics-(OBD) II systemperformance.Remove the oxygen sensor prior to cleaning the manifold. Donot submerge the oxygen sensor in cleaning solvent.Remove the oxygen sensor-(3) from themanifold.Clean the exhaust manifold-(2) in solvent. 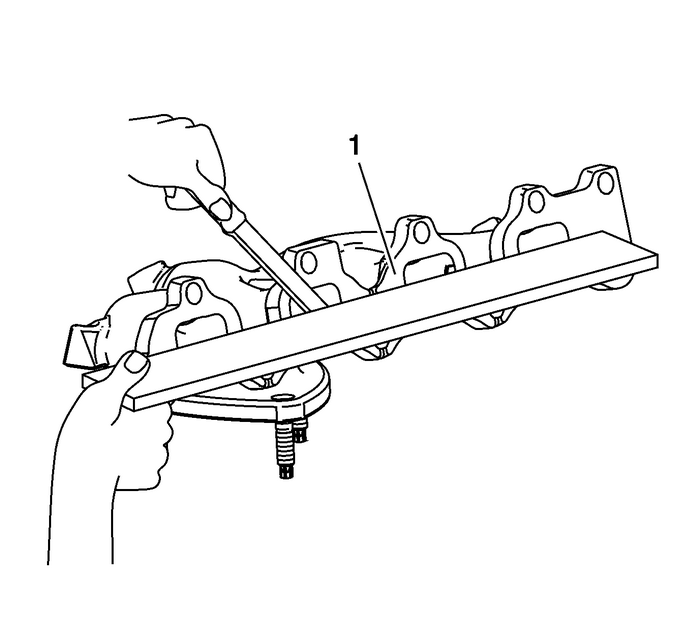 Dry the exhaust manifold with compressed air.Inspect the heat shield-(1) for damage. Use a straight edge and a feeler gauge and measure theexhaust manifold mounting face-(1) for warpage. An exhaust manifold face with warpage in excess of0.25-mm(0.0100-in)may cause an exhaust leak andmay effect OBD II system performance. Exhaust manifolds not withinspecifications must be replaced.